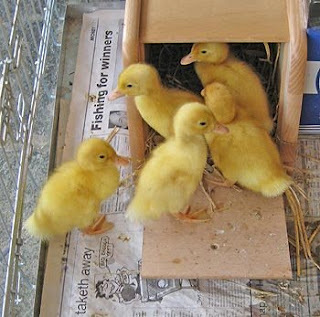 We’ve been rearing some ducklings in the house and we’re staggered by the mess and the smell. They’ve been banished to the stables now as they outgrew their cage. In the next few weeks and once their feathers are through we’ll put them down on the pond where we already have some fully grown ducks enjoying the sunshine and the weed.